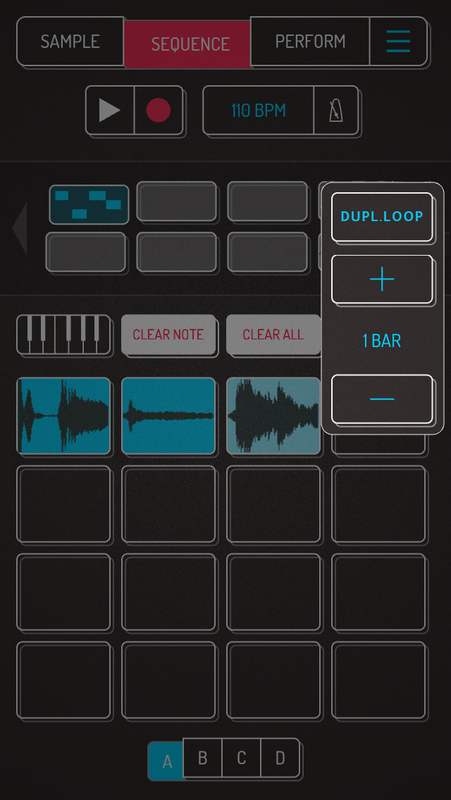 There’s a new sampler app called Koala on the iPhone/iPad. It’s incredibly easy to use, and super fun. It’s what I wished existed for the longest time! I have a digitakt, tone, op-z, op-1, deluge, and tons of other samplers and groove boxes. This is nowhere even close to as powerful or functional but damn is it super fun just like those! Anyway thought I’d mention it, someone made me aware of it in the apps thread. Thought I’d give it a shout-out. If this gets lots of updates over time this thing is gonna be ridiculously useful and fun. I like it too. Lots of fun. TriqTraq is a similar app, but more about sequencing than recording. It even has p-locks. Can you import samples? Or is it just mic recording? Sample import is being added. Elf Audio states: Coming up in next version early next week - AudioShare sample import + copy/paste import as a priority. Someone on the Audiobus forum was able to record using their interface. See page three of this thread. Thanks @papertiger for notifying us of this app! I bought it today and it’s just what I need for spicing up my employment. Now I can be paid in wav format too! I just submitted an update to the app store last night for AudioShare import and also you can open almost any audio file in Koala through the standard iOS share pane. Hopefully Apple will approve in the next day or two! Hello Elf! Thank you for making this dope app! So nice to have this quick and dirty sampler On The PHONE! Only things I want is a hold setting for the pads so you can have the option to keep one pad looping without touching sequencer. AudioBus puts transport controls on the screen of AB-compatible apps, so you could easily start playback from the same screen. Or use AB Remote. This is true. As far as I can tell you currently can’t our Koala in the “output” slot to sample into it though. I just bought it…wasted an hour playing while I was supposed to be working. cool little app. Downloded this and sampled my two year old son who’s big into his nursery rhymes at the moment. Really fun little sampler, we enjoyed it a lot! What’s the story behind the desktop installer on your website @elf_audio ? Hi @elf_audio, just bought your excellent app. Could you please make recording of FX in performance mode possible? Super happy everyone’s enjoying it!!! bought the app two days ago and it is really fun to use! Great app. Love the fun aspect of it. Quick and to the point. I would love to have duplicate loop option as mentioned. Would also be nice to have more control and editing options (filter, envelope, step sequencer, p-locks) as a pro expansion or something. You can copy a pattern onto the end of a pattern to extend it.